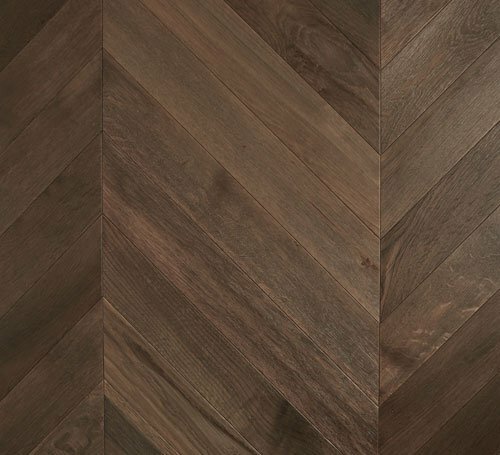 The stunning new De Marque Herringbone Parquetry Collection is now available with a Universal Tongue & Groove profile, which enables multiple pattern assembly, to create a number of different visuals. With a contemporary palette of pre-finished colours, the range will provide wonderful warmth & charm to almost any interior. 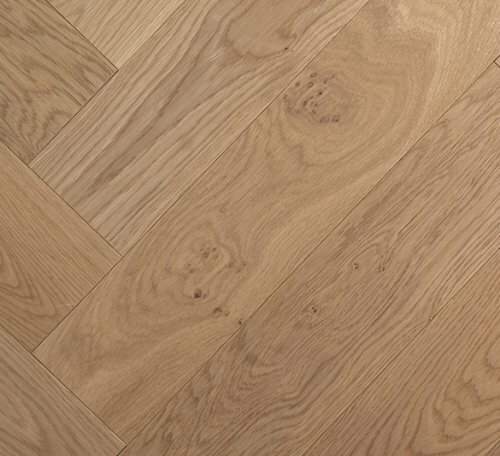 Wide Plank Oak also available in 190, 240 and 300mm. 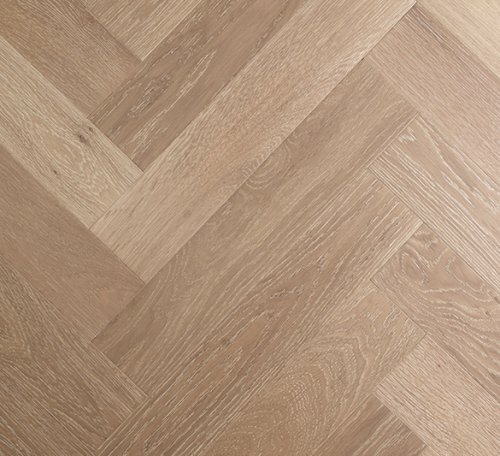 The De Marque 21/6mm Parquetry Oak planks are manufactured from sustainable Real Oak timber combining a 6 mm solid Oak wear layer engineered onto a 15 mm plywood substrate. 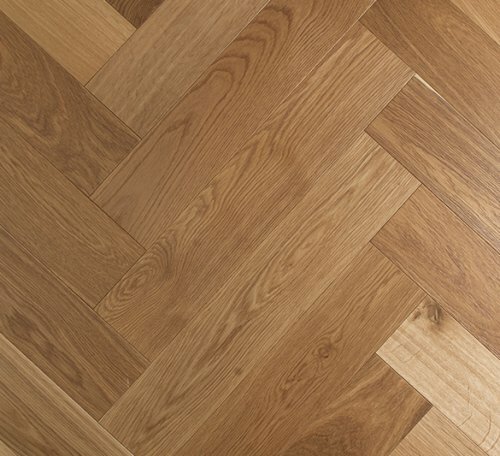 This trusted method of construction provides a long wearing, stable and durable floor with a finished thickness of 21mm. 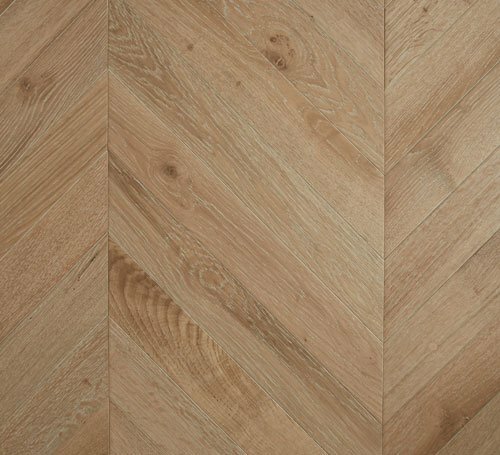 The De Marque 15/4mm Parquetry Oak planks are manufactured from sustainable Real Oak timber combining a 4 mm solid Oak wear layer engineered onto a 11 mm plywood substrate. 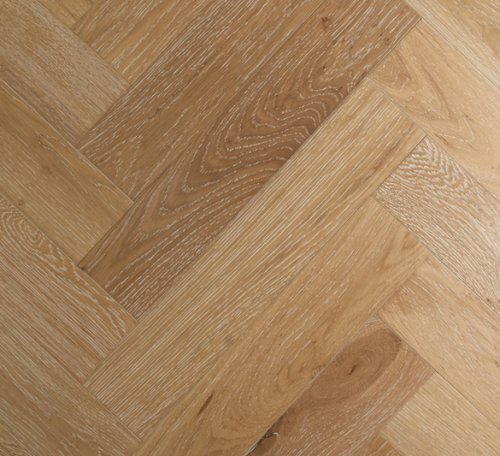 This trusted method of construction provides a long wearing, stable and durable floor with a finished thickness of 15mm. for an optimum outcome we recommend a full trowel spread adhesive bonded to a homogeneous, flat surface and dry surface such as plywood. Wooden tongue inserts are provided to aid pattern design and assembly. 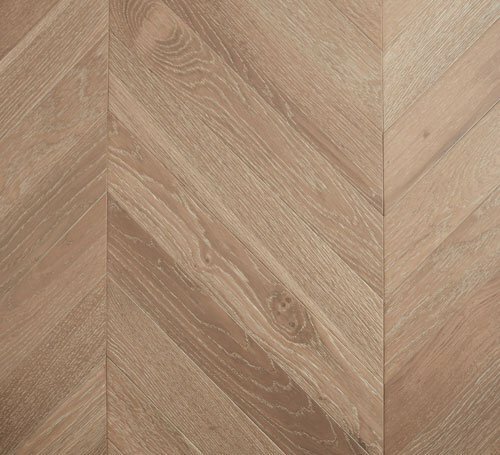 Engineered Oak, Universal Tongue & Groove (1 side tongue/3 sides groove). Micro Bevelled Edges. A/B/C/D Grade contains knots and split defects that are filled to compliment surface character. 120mm width, 600 mm length, 21mm thickness. 6mm Wear Layer. AS/ISO9239.1.Critical Radiant Flux, kW/m2.7.5 kW/m2 Mean Smoke Development, 17 percent minutes. 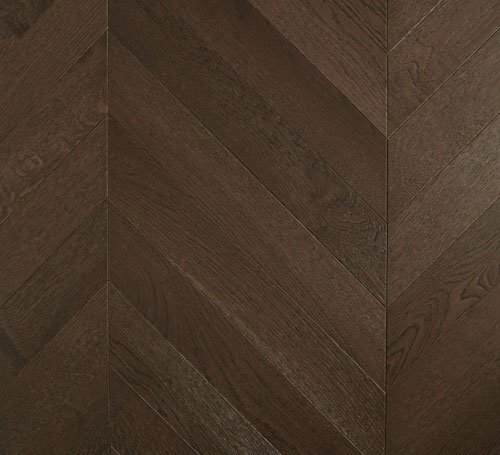 The stunning new De Marque Chevron Collection is now available with a contemporary palette of pre-finished colours. Our range provides wonderful warmth, charm and character delivering a truly unique renaissance appeal. Raw (un-coated) is also available for custom on-site finishing. 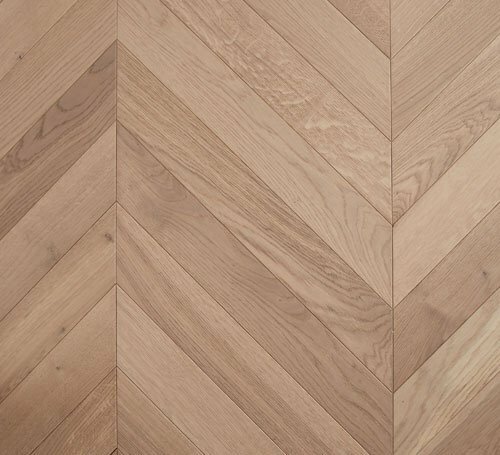 Parquetry Installation: we recommend a full trowel spread adhesive bonded to a homogenous, flat and dry surface such as plywood. Wooden tongue inserts are provided to aid pattern design and assembly. 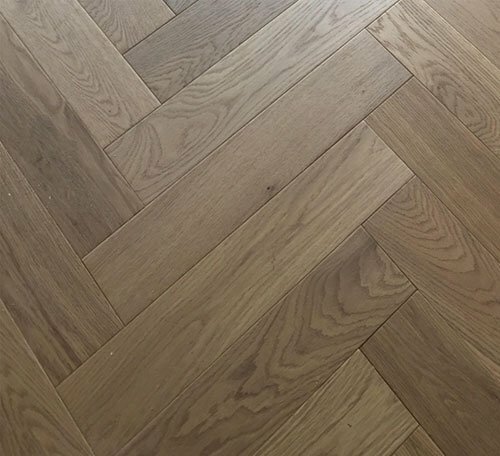 Parquetry is not suitable as a floating installation. For concrete slabs, the slab must be dry <2.2% with full Moisture Barrier applied. 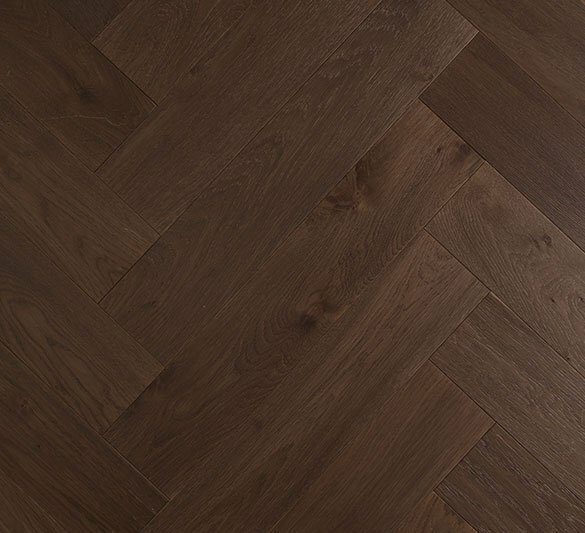 The parquetry is then adhered with a matching brand elastomeric wood floor adhesive. Sika brand products are recommended. Grade & Surface:A/B/C/D Grade contains knots and split defects that are filled to compliment surface character. Pre-finished Matte, European PU coating. Light wire brush surface texture. Size & Length: 90mm width, 600 mm length, 21mm thickness. 6mm Wear Layer. Fire Test Data: AS/ISO9239.1.Critical Radiant Flux, 4.9kW/m2 Mean Smoke Development, 6 percent minutes.